THE SECRET VILLAGE First Trailer and Poster! 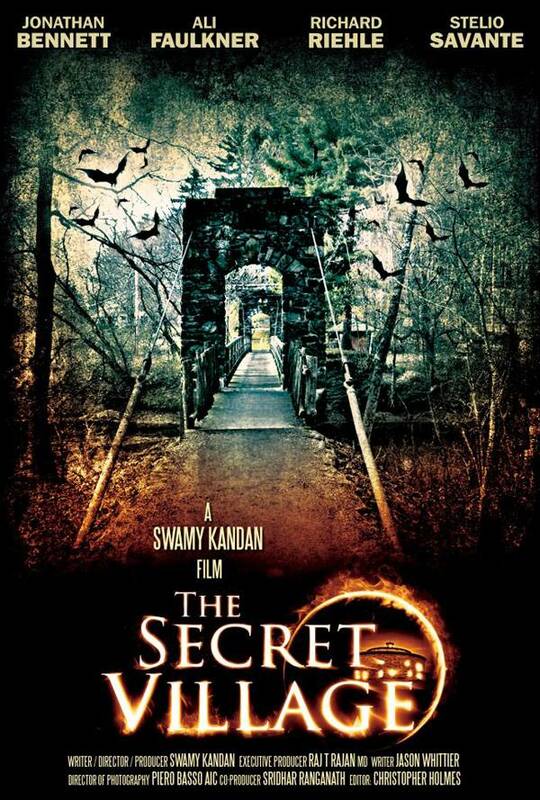 First Trailer & Poster For Swamy Kandan’s Psychological Thriller THE SECRET VILLAGE! Here’s one interesting new project, titled The Secret Village and described as a chilling suspense thriller. We like these kind of movies, right? Especially when we add strange places, strange people and… well, strange events. Ok then, here’s your perfect chance to check out the first trailer and poster for Swamy Kandan‘s movie which opens this March! Don’t miss! Swamy Kandan directed the movie from a script he co-wrote with Jason B. Whittier, and the whole thing centers on an unsuccessful screenwriter and a journalist who research an outbreak of mass hysteria in a small village. In this chilling suspense thriller, a journalist Rachel is determined to unravel the mystery behind an outbreak of strange events in a small town. She meets with a local who is willing to share the events which are reminiscent of the Salem ergot poisonings. However, with the local’s sudden death, and her friend’s disappearance, all leads come to a dead end. Rachel is left alone to unravel the villagers’ secret. The Secret Village stars Jonathan Bennett, Ali Faulkner, Stelio Savante, Richard Riehle, Karin Duseva & Tobi Gadison, and is set to open on March 31st, 2013. Let us know what you think about it, and stay tuned! New SIDE EFFECTS Clips: Take Another Look At Jude Law, Rooney Mara & Channing Tatum!